Zorro fans get ready for the Hollywood icon’s entry onto Nintendo’s Wii platform for North America. You read that right. 505 Games and Zorro Productions have announced the adventure packed ‘The Destiny of Zorro’ video-game for the continent. Touted as the “first interactive game”, The Destiny of Zorro has been announced for North America which will bring the opportunity of being the masked-marksman along with endless action for Wii owners. 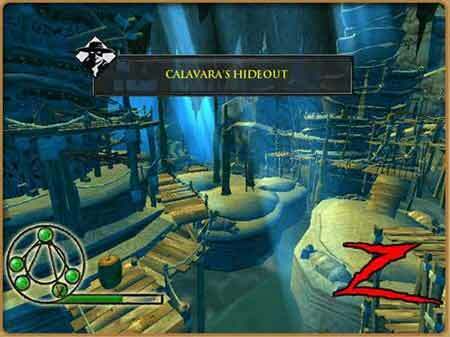 Players can use their Wii Remote as their sword to make the legendary ‘Z’ signature. The game will involve the players to play as Zorro and defend the oppressed. It features a sun-scorched coast and desert landscape of early 1800s Spanish California. Zorro, whose secret identity is the rich caballero Don Diego de la Vega, also has to fight off Calavera and his troops who are on mission to steal precious treasure. The release date of The Destiny of Zorro is yet to be announced.